Well it seems like another aging legend will be leaving Serie A soon, but not immediately. 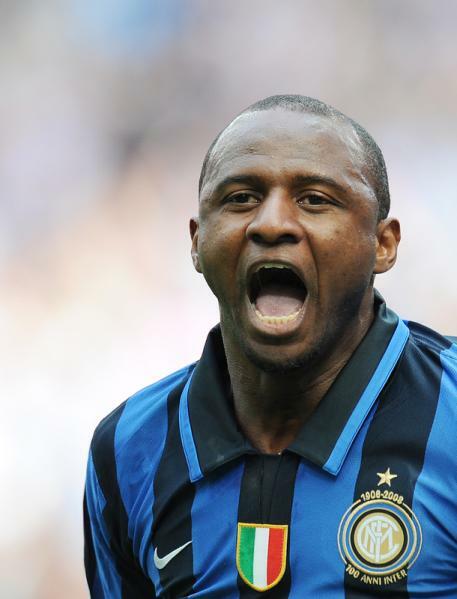 This time it is Patrick Vieira. And although the Inter player is often linked with a move to England’s Premier League and former club Arsenal, it appears that those interests are behind the midfielder. The World Cup winner did reveal interest in one particular league (and will give you a hint it wasn’t La Liga either) It appears that Viera is interested in taking a trip across the pond and finishing his career with MLS soccer. It appears the midfielder will spurn his English suitors and after wrapping up his remaining years with Inter will move over to the MLS to eventually retire from the sport. Here is what the Frenchman had to say about his future plans. I still have a year left on my contract and I think it will be my last in Europe at the highest level. I would like to try an experience in the United States, [former French international] Youri Djorkaeff has convinced me. Vieira could possibly join the MLS market around the same time as fellow international French player Thierry Henry, but it is more likely that Henry will remain with Barca for the final year of his deal. Henry has already expressed interest in signing with the New York Red Bulls. Vieira has yet to express a particular club that he would play for, but Youri Djorkaeff was also a player for the Red Bulls for the remainder of his career.